As Prime Minister Theresa May formally invokes Article 50, making Brexit irreversible, it’s fair to say not everyone is happy that Britain is leaving the EU. May will trigger the start of Britain’s official departure from the EU on Wednesday. 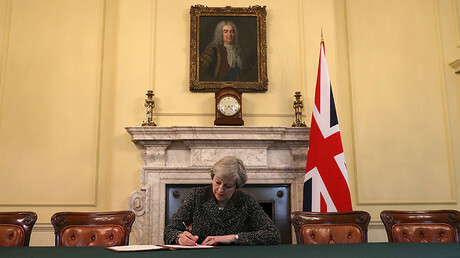 She has already signed a letter addressed to European Council President Donald Tusk that gives the EU formal notice of the UK’s intention to leave the bloc under Article 50. It will be hand-delivered by Britain’s permanent representative to the EU, Tim Barrow. However, with some protests outside Parliament and #BrexitDay trending on Twitter, it’s clear Britain’s departure from the bloc is still dividing the nation. Almost half voted to remain. Pity Me, Co. Durham. Theory is that the original name was French "petit mere" but we anglicised into a cry for help. Calling the country to unite on #brexitday ? Ridiculous! We should never, ever unite around something we know is deeply, utterly wrong. Labour members, including the MP for Exeter, are to light candles throughout the day and hold a vigil in mourning of our membership of the EU, saying this decision is not in their name. The Spectator newspaper requested poetic previews of Brexit Day, triggering passionate voices from both sides of the debate. Despite this, he has also said he will move abroad if leaving the EU turns out to be a “disaster.” The former UKIP leader told listeners of his LBC radio show that, while he believes Brexit will be a success, he will emigrate if it isn’t. In the past few days, there has been congeniality between nations, as the PM said she aims to keep a “deep and special partnership” with Europe after Brexit. London Mayor Sadiq Khan told the Press Association on Wednesday he voted against Brexit and is “heartbroken” that the rest of the country decided to leave the EU. 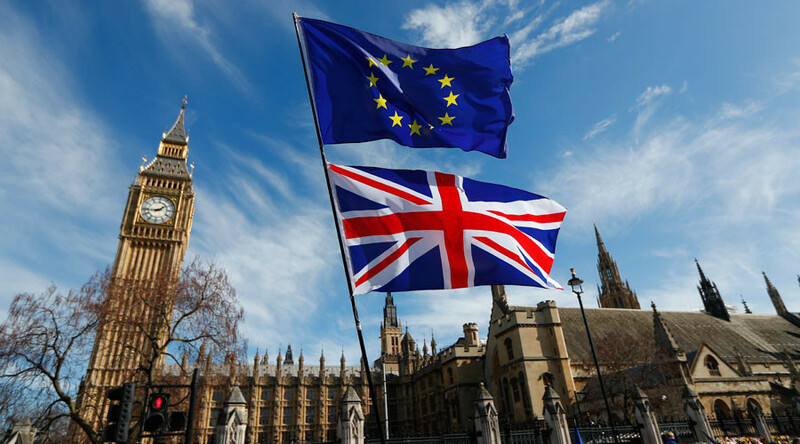 “That would kick of these negotiations in good faith and would lead to ultimately a good Brexit deal. But it’s going to be tough and we shouldn’t pretend otherwise,” he added. Chancellor Philip Hammond has admitted compromise will be needed. “Every negotiation is about give and take on both sides and we have to go into this discussion undertaking and accepting that we will have to do some give and take to get the best possible deal for Britain,” he told Sky News. On Wednesday, Germany warned Britain that it faces “much greater risks” than the EU. With Chancellor Angela Merkel toughening her stance on Brexit as German elections loom, Berlin is demanding a united European front during the talks on Britain’s departure. Germany has made clear that it is prepared to accept economic pain in order to hold the EU together and prevent other countries from following Britain in splintering off.